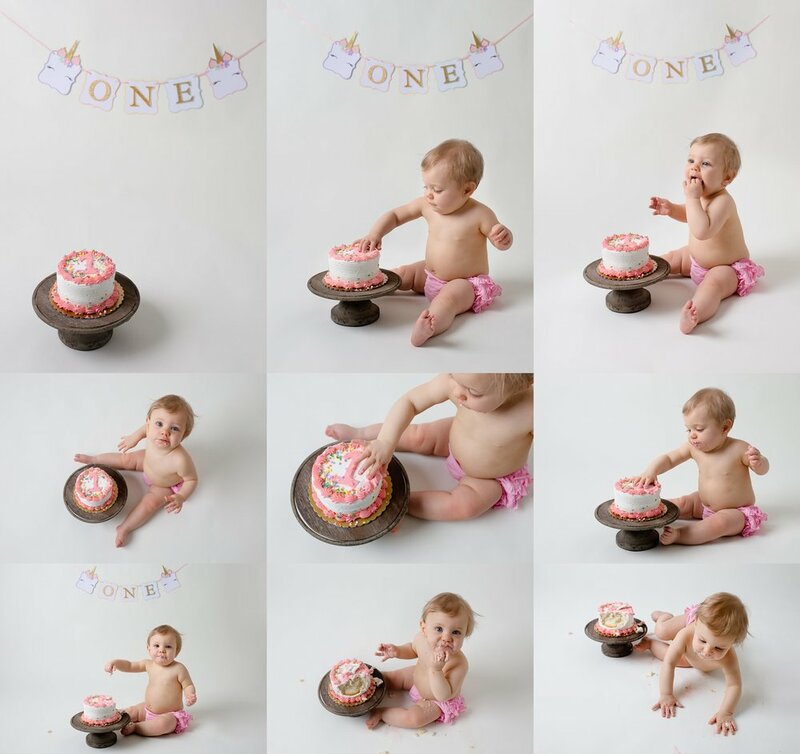 Zoey was the happiest girl during her cake smash/one year session! 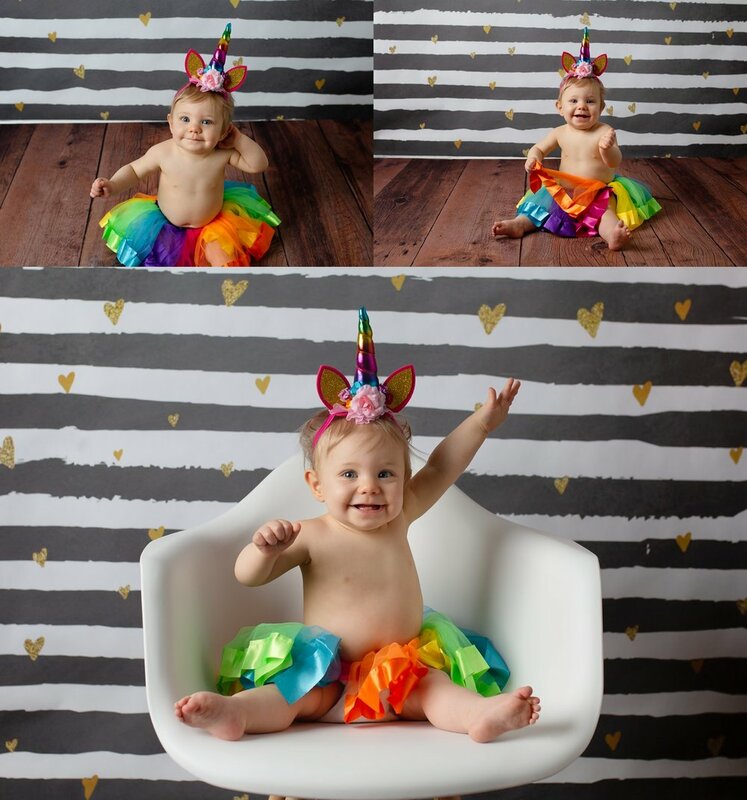 I just love her personality and I love the theme her mom chose - UNICORNS! Plus, look at those most beautiful eyes!